" I have been using Antler Velvet Max in my practice and have been amazed at the results I have gotten with my patients and with myself. I treat a wide variety of people from the weekend warriors to professional as well as Olympic athletes and have seen great improvements with all groups. I have seen significantly improved healing time for soft tissue injuries and joint problems. It has even been able to help those patients that have been involved in serious car wrecks. Many of my patients that have had sports injuries that required surgery tell me that they feel much better and that their surgeons are always surprised at how quickly they recover from surgery. The Antler Velvet Max has done great things for my own shoulders which had kept me from doing bench press for years. After the first few weeks I could feel a difference in my shoulders and now my bench press is back over 300lbs and I don't have any shoulder pain at all. " For several months I had trouble sleeping and would wake up several times during the night. I knew that everyday stress and other concerns were on my mind at night. When I saw the "Nature's Sleep" product advertised, and read the information about the extensive research, and also the fact that it was all natural, I said to myself, I need to try this. The first night I tried it, I was able to go to sleep quickly. When I awoke, it was morning and I saw the light coming in from the window. I couldn't believe I didn't wake up to darkness like in the middle of the night. It was a great to have that well rested feeling that I hadn't had for so long. I must say that this product is truly a "miracle" for me. Since then, I've been able to consistently sleep through the night when I've taken the Nature's Sleep product. Thank you. It has helped me so much! My husband and I have been using the IGF-1 formula for over two months now. We are both in our 50's. My husband has bad knees, shoulders and hips. He has not used his stretch knee braces since using this product and has not complained about his shoulders or hips. I was skeptical at first, but now I am a firm believer in this "Fountain of Youth" product! I am a Veteran and have been looking for a wellbeing product that would not clash with my exposure to dioxin problem (Agent Orange) You name it and I have tried it... and broken out in a rash in all the soft skin areas of my body.. yea there too... 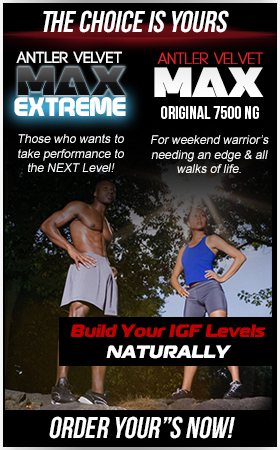 Although its early days with Maxlife it has given me hope in overcoming the physical and mental challenges I have. I have been wanting to drop off the extra kilos and find that energy I once had and the motivation to get on top of the PTSD merry go round. This is happening... lost 5kgs already... no change to diet.... no exercising.... but now feel like getting out there and facing the world. To all you vets out there... we are a large community... try this product - it will do for you what its doing for me and more than that... collectively together.... we can help one another enjoy the rest of our lives... I am 65 this September, live in God Zone New Zealand. ... so I'm in a hurry to not waste the time I have left. Renewed health, vigor, vitality,peace and security to you all.